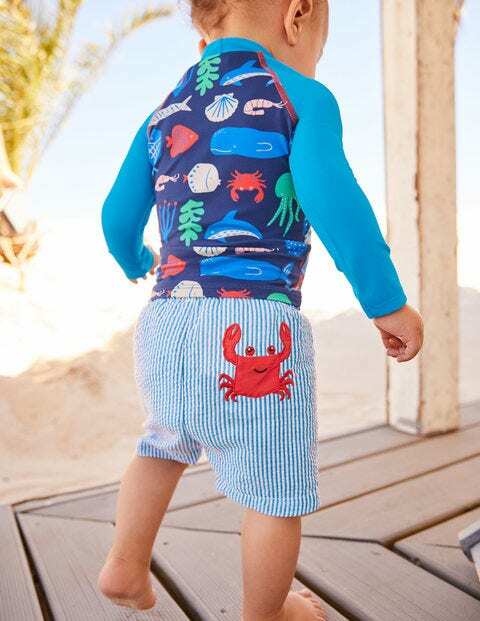 Seaside splashing is much more fun with friends – which is why these bathers take their pocket pals everywhere with them. There's a cheery crab on striped seersucker and a checked turtle who just can't wait to dive in. The water-baby-sized option has a nappy lining, while older swimmers are protected with mesh instead.